Enjoy Mountain Aire as the fall season approaches! The course has received large amounts of rain over the past few days and weeks. However, we have been very fortunate to receive only minimal damage to the course. After drying out over the next few days, the course should continue to be in terrific shape as we head into our fall leaf season. Please call to make your tee time now and enjoy the beautiful scenery around Mountain Aire! ← Come enjoy spring at Mountain Aire! Play golf at Mountain Aire in 2019! Come enjoy spring at Mountain Aire! 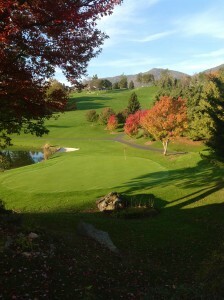 For tee times call the golf shop at (336) 877-4716 or book online. For more information about Fairway Ridge Development, please email us or use our online request form.